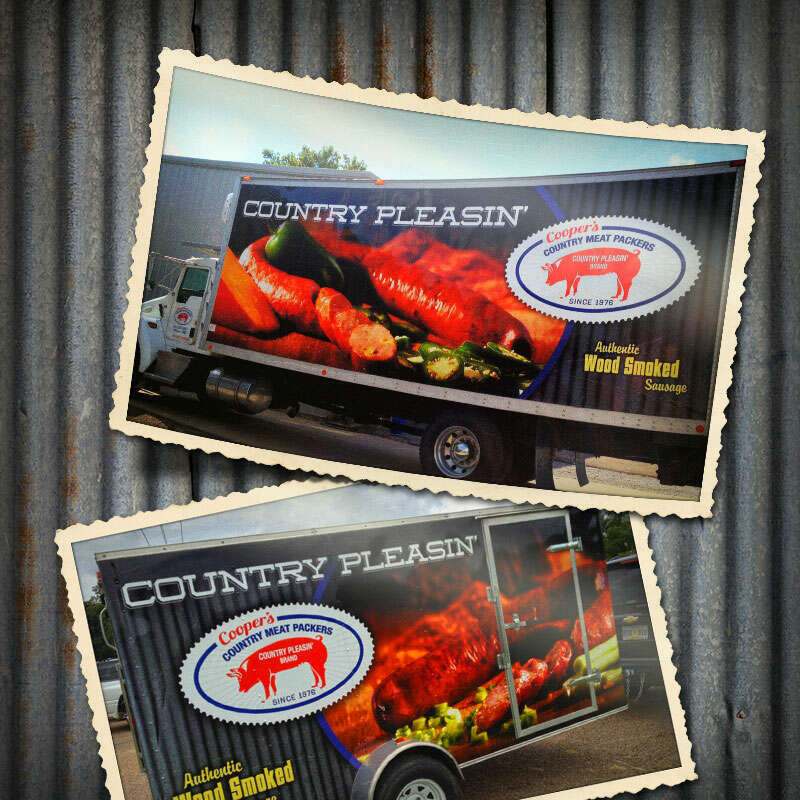 We had the opportunity to design a couple of vehicle wraps for Country Pleasin' Sausage delivery trucks. Like other pieces we've designed for them, the goal is to convey their quality and authenticity (and of course make people's mouths water! ).